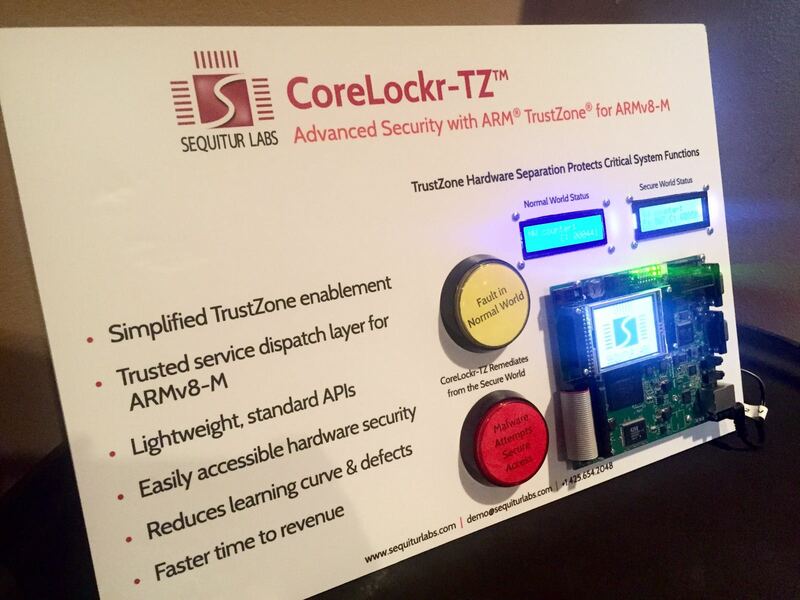 CoreLockr-TZ Demo Board demonstrates TrustZone for ARMv8-M at ARM TechCon 2016. 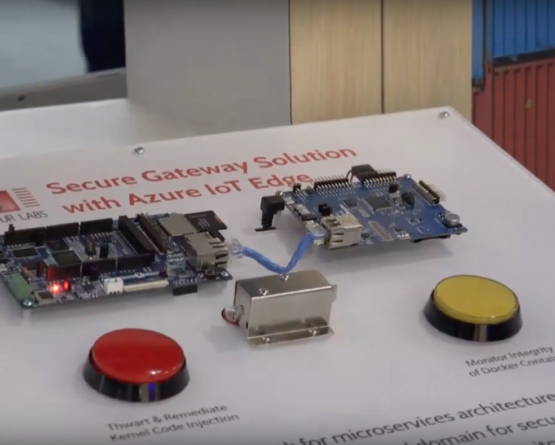 This afternoon Rob Coombs (Director Security Marketing) was joined by Phil Attfield (CEO of Sequitur Labs) to showcase some trustworthy IOT devices using ARM’s newly announced ARMv8-M based processors. Rob started the presentation by walking the audience through some fundamentals of security. Then Sequitur Labs shared their experience of how debug features worked “out of the box” on ARMv8M. They highlighted the same message that we’ve heard throughout the keynotes – security is essential and it needs to be built into a device from the ground up! 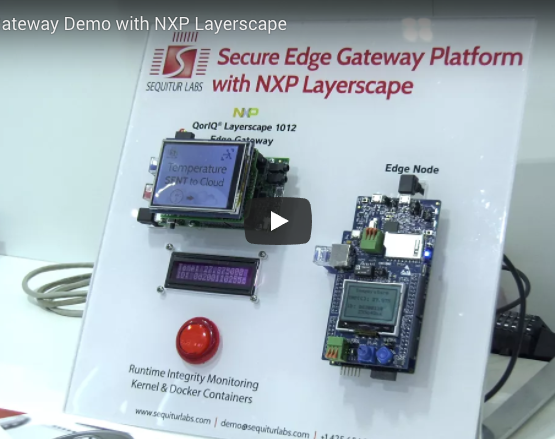 TrustZone for ARMv8-M is a major security enhancement for microcontrollers. They highlighted the same message that we’ve heard throughout the keynotes – security is essential and it needs to be built into a device from the ground up!